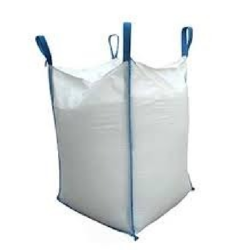 Prominent & Leading Exporter from Mumbai, we offer baffle bags. Storage Capacity 20 kg, 25 kg, 50 kg, 100 kg etc. Dimension Available in all Dimension. These Q Bags / Baffle Bags are manufactured with inbuilt baffles which provide a distinguished look to the bag thereby helping in the transportation. The inner baffles maintain the original shape of the content packed in the bags. As a result, the content is kept square on the pallet and acquires less space in the warehouses. The Q bags are available in desired dimensional specifications. High density and low-density Polyethylene carrier bags are available and can be used as shopping bags, laundry bags, newspaper bags, promotional bags and obviously for mailing purposes. Looking for Baffle Bags ?